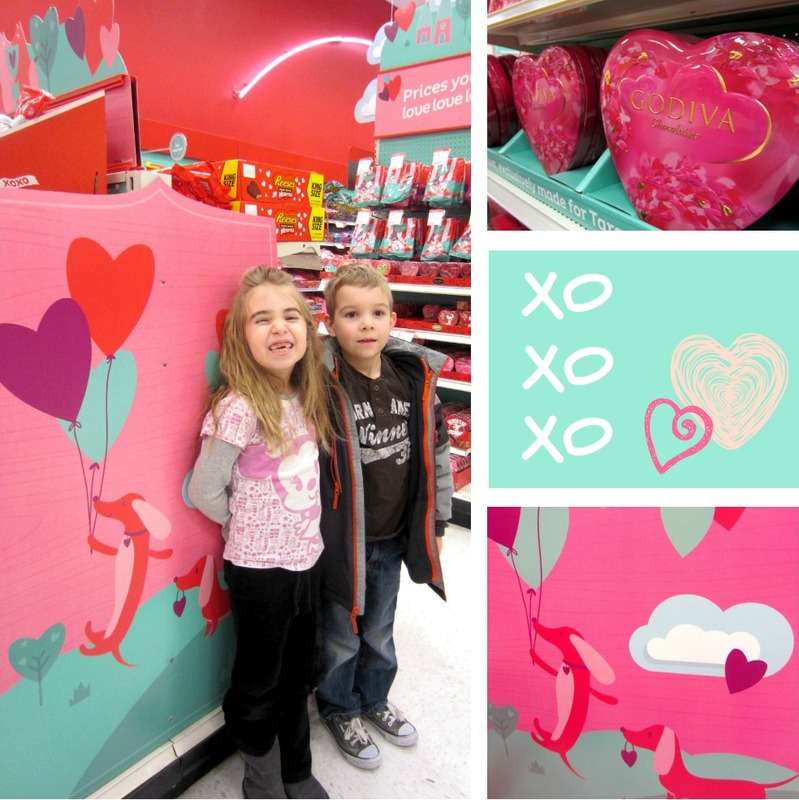 Today we happened upon Valentopia. After a gorgeous hour of yoga at the Y, I figured we should conserve gas by running errands gross and sweaty. Our first stop was Target for Puffs...the runny noses have done our supply in. That's when we looked up and spied an arrow that read, "This way to Valentopia." The lights turned all rosy and heart confetti descended in a path to the back corner of the store. Not really, but I did feel beckoned. The kids have already been told we're doing another month where we spend as little as we can, so we can have more money for Disney. So I just reminded them we were going to look at the Valentines stuff, not buy anything. And you should've seen it. All pink and aqua and red and lavender and hearts and skies. Well done, Target marketing group, well done. If you haven't made the trip to this happy place, here it is. We meandered to our hearts' content, while the kids told me everything they'd wanted to get me when they were there with Daddy. I'm left wondering if they're smooth beyond their years in not revealing what was gotten, or if nothing was gotten. I'm fine either way, since I'd rather be in the know on spending this month, but their keeping a secret would be a milestone. Time will tell. After Target, we hit the bread store to get our Monday two-for-one deal. So today we put our first negative number on the board (sigh) but I'm hopeful it won't stay that way!